Who has time to read these days? We tend to be incredibly busy, moving from one responsibility to the next, and it can be hard to find a spare moment to curl up with a book. Trimming your activities to a more manageable commitment can help, but what if there simply isn’t any way to make more time? Learn to read faster, so you can cover more material during the short window of time available to you. Does it take you weeks or months to finish a book? Many of us are slow readers, but fear not! 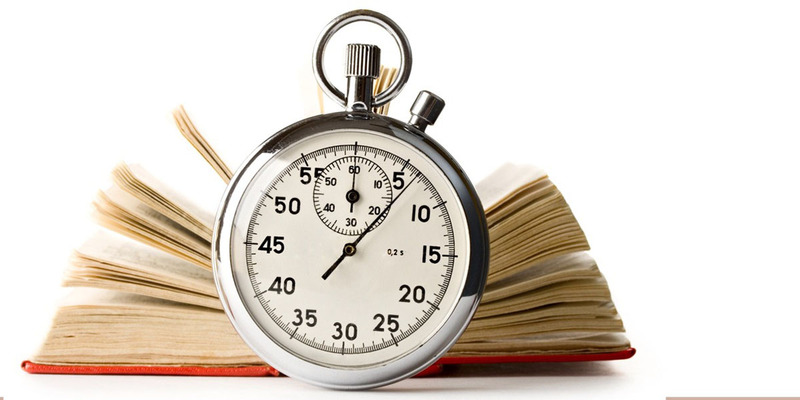 You can begin improving your reading speed in as little as two minutes a day. To read faster, you need to do two things: Increase the number of words you see in each glance, and decrease the number of times you go back to re-read material. Increasing the number of words you see in each glance requires you to minimize saccadic movements. These are little jumps that your eyes make when you’re reading. When you scan a line, your eyes don’t simply move across the line at an even pace. Instead, they look at a few words at a time. To increase your reading speed, your eyes need to see a few more words at a time. Where you might have made eight jumps to get across a line before, you can train yourself to make only four jumps, or three. Practice using peripheral vision to take bigger “bites” out of lines of text, and you’ll find that in only a few minutes, you’ll start to move much more quickly through your reading. However, blazing through words won’t do you much good unless you can actually absorb the meaning of what you’re reading. Comprehension simply takes practice. Concentrate on getting through the material quickly and “seeing” every word as you do. Then, go back and read the same material again if you didn’t understand it. Over time, you’ll begin to comprehend on the first read-through, and you’ll be able to maintain your reading speed. It doesn’t take long to start getting faster. If you don’t have much time to read, you owe it to yourself to do it as efficiently as possible, and using the techniques above every day will help you get started reading faster now.